Google has made its move on gaming with the announcement of streaming platform Stadia. The news came on the second day of the Game Developers Conference in San Francisco; and it surely stands as one of the most significant gaming reveals in the industry’s history. Such a major player moving in with such an ambitious platform could radically impact the broad ecosystem of the industry, the makeup of audiences playing games, and the way the medium is consumed and designed. However, Stadia’s reveal leaves many questions unanswered, and – as exiting as it is – it is yet too early to tell if the initiative will succeed at all. This could be as significant as the rise of mobile gaming, or Stadia may simply come and go like so many ambitious but flawed tech initiatives before it. Not that Stadia is explicitly flawed; only a great deal more detail and exposure to the market as a live product will really reveal its chops as a sustainable gaming platform. So, what is Stadia? It is a gaming platform that will let players stream titles that are stored remotely on servers in the cloud. Put more simply, it is broadly comparable to Netflix, but will offer games. Unlike movies and TV shows, however, gaming requires powerful hardware. But Google seem to have that covered. You won’t need powerful gaming devices at home, because the technological muscle will be provided by the cloud. That means access to high-end games on ordinary smartphones, basic laptops, and ordinary desktop computers, and a range of other connected home technologies such as smart TVs. We’ve been here before, of course. Cloud gaming companies emerged throughout the 2000s, with numerous options hitting the market as the hype reached a peak around 2009 or 2010. Some failed, some were consumed through acquisitions, and others trundled along without making too much impact on the industry, audience, and medium. But none were as ambitious as Stadia, which has the advantage of being integrated with Google’s vast sweep of platforms, technologies, services, and connected networks. Stadia is pitched as offering 4K resolution gaming at 60 frames-per-second, and its overall technical specification puts it a good way ahead of current-generation consoles. The real stand-out feature, however, might be its video integration. Brace yourself. Google owns YouTube; a platform that sees gaming video as some of its most successful content. Billions of hours of gaming have been uploaded to YouTube, which has been significant in shaping video games’ emergence as a spectator entity, and the esports revolution. Google’s new platform will allow players watching a YouTube video of a supported game to click ‘play on Stadia’. That will let them near-instantly start playing the game through the YouTube viewer. That could be revolutionary. If access to a triple-A video game, that would typically require an expensive console or powerful PC, was suddenly available in a single click on a low-price TV or basic smartphone, games will become tremendously more accessible. You can see that ability in action in the tweet below. Google also revealed details of the hardware it has developed with AMD to power Stadia at the server end; namely that it offers a remarkable 10 Tflops of power, which significantly trumps the raw muscle of the PlayStation 4 and Xbox One. The tech giant also detailed a proprietary controller that connects directly to the internet, rather than simply to the display device – such as a TV or phone – running a Stadia-supported game. That approach should help counter some of the ‘input lag’ seen on early cloud gaming services, where a delay between pressing a button and seeing the effect onscreen significantly impeded the quality of experience. The potential impact on videos that simultaneously stand as complete games could be tremendous too, effecting multiplayer, esports, the role of influencers, the profits and advertising opportunities in gaming video, and more besides. But that is where the questions start. Essentially, Google has not yet confirmed how the Stadia ecosystem will work from a player and developer or publisher perspective. Will it be a subscription service? If so, how will Google distribute money to developers of games that are released to the platform? Will a vast blockbuster made by hundreds of developers be able to charge more for access (much like a newly released movie on Amazon Prime), or simply be distributed in the same way as a tiny experimental indie game made by one person? How will ads and free-to-play be supported? What are the technical requirements and costs for developers? 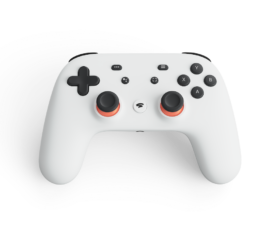 How much will the controller Google revealed cost? Will Google manage to distribute a wide enough web of the server hardware it has developed for the platform? Those are some big, important questions. But there are also two really big, really important questions. What games will be available on Stadia? The coming entry in the Doom series – titled ‘Doom Eternal’ – is due, and Ubisoft, 2K, Epic, and many more, are partnering. They are big names, but the tip of the iceberg for a platform clearly targeting the widest audience possible. And then there’s the matter of existing consumer bandwidth. Google may have all the muscle needed to pump out demanding games to low-powered hardware, but if consumer broadband is limited or unreliable, the potential of Stadia is almost irrelevant. 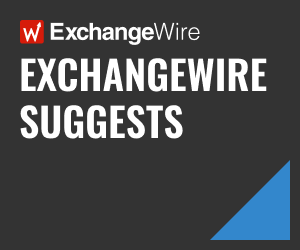 Equally, while, consumer bandwidth is always improving, players may find themselves paying significant amounts to service providers if they are pulling large amounts of data through their broadband connections. Then there are the more nuanced questions, too. If Stadia is provided as a subscription service, could free-to-play monetisation become more prevalent as a means for extra revenue? And just how will Stadia integrate with existing Google ad technology? If streaming changes consumption habits by providing access to a broad library, how will retail, publishing, and even development technology be impacted? Ultimately, Stadia is exciting, significant, and probably has more potential than any other game-streaming platform previously released or touted. But with so many questions unanswered, it’s likely worth reining in the industry’s collective enthusiasm and excitement. There’s plenty of reason for optimism, but not blind optimism. A 2019 launch in the West is expected. This content was originally published in TheGamingEconomy.com.